MONDAY, March 26, 2018 (HealthDay News) -- It's thought that one-quarter of U.S. adults will develop a swallowing problem at some point. But researchers hope insight from a new study may help lead to improved treatment. Their study looked at the changes that occur in your ability to swallow as you age. The Johns Hopkins University team hopes the findings will help rehabilitation experts design exercises that could help prevent swallowing disorders in at-risk older adults, said Dr. Alba Azola, a Hopkins resident in physical medicine and rehabilitation. The study included 31 adults, ages 62 to 91, with no swallowing problems, and 33 healthy young adults, ages 18 to 28. Both groups underwent an X-ray video test that revealed the mechanics of their swallowing. The test showed how long the windpipe was closed off during a swallow, how long it took to close the airway, and how food was prevented from getting into the lungs. In the older adults, the swallow started later. This meant the food was getting to the throat later, and it took longer for the start of actions to prevent food from getting into the airway, the researchers said in a university news release. 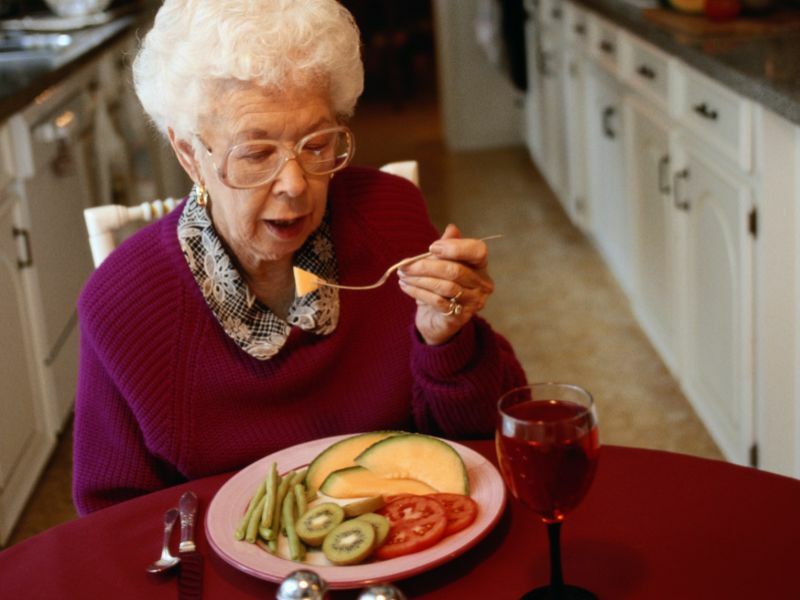 That puts older adults at higher risk of food getting into their lungs, which increases the risk of aspiration pneumonia, a condition that can lead to death, the investigators pointed out. While more common among older adults, swallowing problems (dysphagia) can affect younger adults, too. About half of patients diagnosed with dysphagia die within one year of diagnosis, according to Azola's team. Treatments include rehabilitative therapy such as swallowing exercises that include strength training. The findings were presented recently at the annual meeting of the Dysphagia Research Society, in Baltimore. Research released at meetings is generally considered preliminary until published in a peer-reviewed medical journal.